Tickets for the #AAYFF2019 Gala Screening now available! Get your #AAYFF2019 Screening tickets! Tickets are now available to attend the #AAYFF2019 Gala Screening! This event will celebrate filmmakers and their contribution to this year's festival. Join us for the red carpet, dinner, and screening of shortlisted films judged by an international panel of experts. Winners of each category will be announced on the night. To reserve your tickets, please click here. The Gala Screening is free to attend. This is a very popular event and there are limited places available. We strongly encourage you to reserve your tickets at your earliest convenience so you don't miss out. The shortlisted films have been announced and shared with filmmakers. You can also review the #AAYFF2019 shortlisted selection via our website where this year's prizes are also available to view. If you will be travelling to attend the festival from overseas and would like support in arranging accommodation, please contact us by e-mailing info@aayff.com. We're happy to help! The Across Asia Youth Film Festival (AAYFF) is back! We are already tremendously excited and busy planning the third edition of the festival which will be held on 20th April 2019. 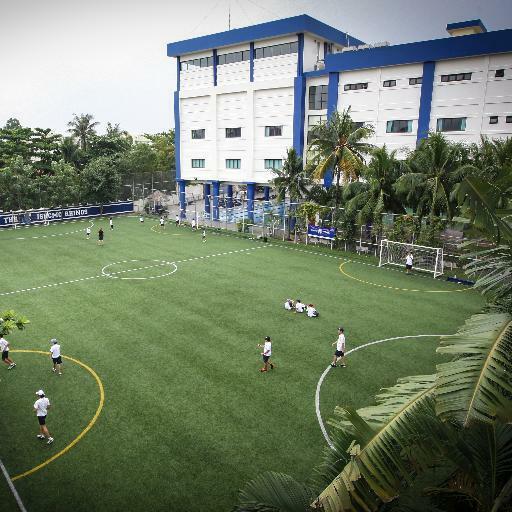 This year’s festival is hosted by the International School of Ho Chi Minh City (ISHCMC), a dynamic IB World school. Celebrating 25 years of learning, ISHCMC is proud to be the most established international school in Ho Chi Minh City, Vietnam. ISHCMC have followed the AAYFF since its inception with students submitting films to both editions of the festival. We are also pleased to confirm HBO Asia are continuing to support young filmmakers across Asia by sponsoring AAYFF 2019. We aim to be as inclusive as possible to encourage young filmmakers from across Asia to participate in the festival. This year, we have expanded the age guidelines from 9 years old and reviewed the entry categories. You can engage with other filmmakers and film fans from across Asia by using our hashtag #AAYFF2019. Visit, follow and share our stories via various social media platforms: Facebook, Twitter and Instagram. If you have any questions, feel free to get in touch with the AAYFF Team. We’ll be happy to support you or your schools participation in this year’s festival! You can now submit your film for AAYFF 2019 via our website and by clicking the below. The AAYFF moves to Vietnam! We're tremendously excited to announce that after two incredible years in Singapore the Across Asia Youth Film Festival will be moving to Vietnam. 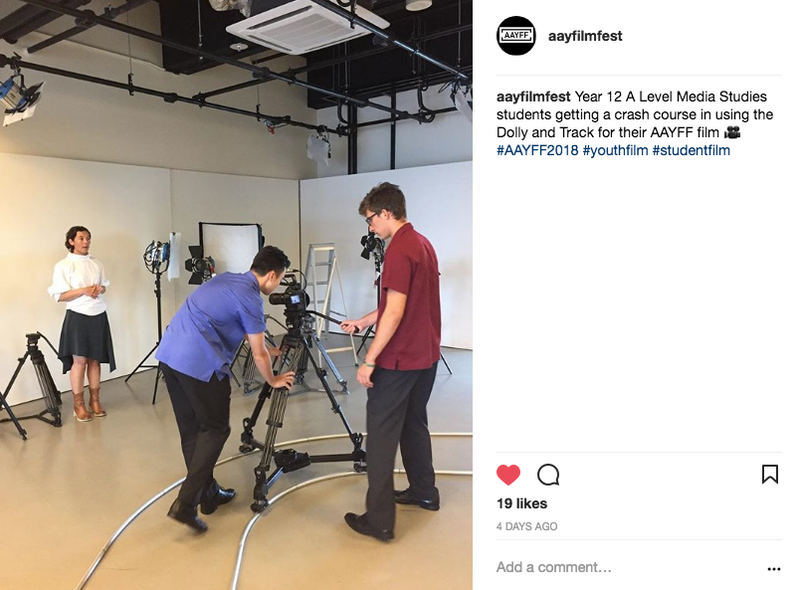 Tanglin Trust School has played a pivotal role in establishing an event that has already done so much to promote student film and creativity, but now the time is right for the AAYFF to head out across Asia. 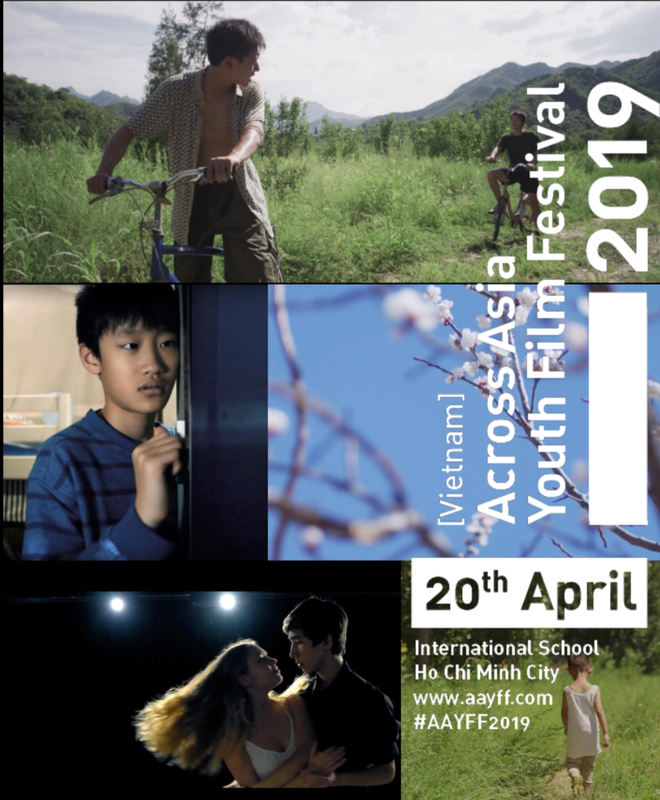 The third Across Asia Youth Film Festival #AAYFF2019 will be proudly hosted by the International School of Ho Chi Minh City (ISHCMC), a dynamic IB World school with a rich 24 years of history. ISHCMC have followed the AAYFF since it's inception with students submitting films to both editions of the festival. With an ethos that promotes creativity, collaboration and innovation we're looking forward to seeing how the AAYFF evolves within the school's community. As well as acknowledging the Tanglin community, we also wish to wholeheartedly thank our wonderful partners HBO Asia, Disney and Mediacorp for supporting and nurturing the AAYFF in its early years. We're sad to leave Mediacorp behind in Singapore but ecstatic to announce that Disney and HBO Asia will continue to support the festival. We also look forward to embracing opportunities to involve the media and creative industry in Vietnam. Important dates for next year's festival will be announced in the new academic year, so have a great Summer holiday and see you soon! Few would have a better insight into that than David, who watched over 300 films from 62 different schools and 14 countries in his role as Director of the Across Asia Youth Film Festival 2018. He describes gaining a real sense of Asia through the eyes of 10-21 year olds, with cultures throughout the region represented in both vignettes and portraits of people's lives. Often cathartic, the subject matter covered issues very personal to being a young person today, including academic pressure, body image, the impact of screen time, personal relationships, as well as wider themes including conservation, pollution and poverty. AAYFF is an opportunity for young people to tell a story from their own perspective, and with their skill in communicating so honestly and personally; in taking ownership of their narrative and putting it across with their specific style of storytelling, their work is uniquely compelling. As a teacher who has invested a great deal in developing audio-visual literacy through filmmaking at Tanglin Trust School, David understands the passion and determination it takes to tell a story through film. With the young filmmakers giving so much of themselves, the AAYFF in return gives them the broadest possible audience for their work, with many opportunities to connect with their audience, media professionals and peers. From the connections formed between each other and industry professionals at the Industry Day, to the live audience reaction at the Gala Screening and the feedback from the judging panel, it is clear that the festival format puts young filmmakers front and centre of the dialogue they instigate by expressing themselves through film. The AAYFF would not have been possible without the support of the festival partners, Tanglin's neighbours at one-north – Disney, HBO and Mediacorp. The 2018 judging panel included Tom Batchelor, Disney's General Manager of Studio Entertainment for South East Asia; Garon De Silva, Vice President, Original Productions at HBO Asia; and Doreen Neo, Chief Content Officer at Mediacorp. The addition of the Industry Day this year gave shortlisted filmmakers an insight into a range of pre-production, production and post-production procedures. Presentations by Industrial Light & Magic and Lucasfilm introduced the students to the development of characters from initial conceptual sketches to the screen, using examples from Marvel Studios and Star Wars, brought to life with CGI techniques such as motion capture. Disney provided the students with a detailed picture of the business of film distribution and marketing using the recent 'Avengers: Infinity War' as a case study. During the HBO sessions students had the opportunity to observe VFX, CGI and editing in situ in the suites of Infinite Studios and tour a working set of Mediacorp's long running TV production 'Tanglin'. Now in its second year, both the event and the entrants have built on the last. It has been very satisfying for all involved to see both the continuity and development. The AAYFF 2017 filmmakers set a benchmark for quality, which the 2018 entrants have expanded upon in interesting, surprising ways. Submissions were technically more advanced and exhibited a greater range and depth of content. The Industry Day also enabled this year's filmmakers to get to know each other and ultimately support each other's work during the screening. So what then, is in store for AAYFF 2019? Having founded the festival and directed it for the past two years, David can be satisfied that the vision for the event – to provide a platform for young filmmakers' creativity and to generate international dialogue through their films – has been realised. By connecting young filmmakers, industry partners and educators throughout Asia, the AAYFF has brought together a community that is passionate about film; an IRL forum that should continue to grow and develop going forward. Before handing over the reins to another school next year, David credits the wonderful community here at Tanglin, including the Management Team, Film Department, Art Department, Events, Marketing and Communications, Theatre and EBT, as well as Catering and Operations, for working together with such energy, creativity and focus to bring the AAYFF vision to life. The 2nd ACROSS ASIA YOUTH FILM FESTIVAL 2018 is here! The 2nd Edition of the Across Asia Youth Film Festival is here! 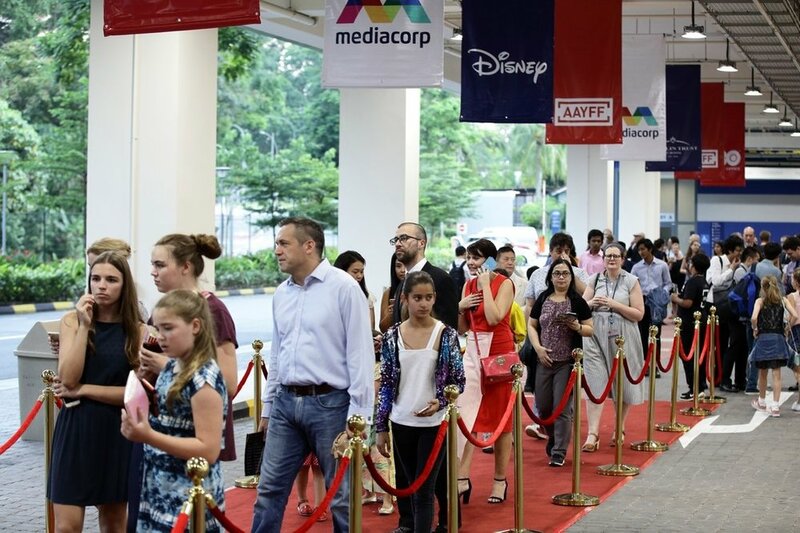 The shortlisted filmmakers have started arriving from across Asia and will tomorrow take part in the #AAYFF2018 Industry Experience day organised by our partners at Disney, HBO Asia and Mediacorp. The morning session will feature presentations by LucasFilm and Disney at the Sandcrawler and in the afternoon tours of the facilities at Infinite Studios organised by HBO and Mediacorp. Venues for the #AAYFF2018 Industry Day - The Sandcrawler, Infinite Studios, The Moot@Tanglin Trust School. During Friday's Red carpet screening at the Moot, Tanglin Trust School, the students' films will be screened before a packed audience and our esteemed jury. This year 33 films from 20 schools will join the competition for 17 prizes which will be awarded on the night. We will also be featuring films during the interval on the live stream which didn't quite make the shortlist, so be sure to share with your students and friends. Click the image to access the live stream. TICKETS FOR THE AAYFF GALA SCREENING 2018 ARE NOW ON SALE! The AAYFF is hosted by Tanglin Trust School from the heart of the one-north media district in Singapore and is wonderfully supported by HBO Asia, Disney and Mediacorp. Join us at the Red Carpet Gala Screening where the AAYFF Official Selection 2018 will be screened in front of a live audience and panel of esteemed judges from HBO, Disney and Mediacorp. Winners of each category will be announced on the night. HBO Asia will again be covering the Gala Screening event for broadcast across Asia! Julius Villar, a Year 13 IB Diploma student made the most of Tanglin Trust School hosting the 2nd edition of the AAYFF by using the festival and its values to inform his process portfolio work and exhibition. His final work is currently being exhibited with the accompanying artist's statement. AAYFF is a design made to promote the Across Asia Youth Film Festival, and the underlying themes of wonder and imagination, predominant in youth. The interconnecting lines represent both the concept of international coexistence across Asia, and local Singaporean culture, as a representation of the local MRT network. Bold primary and secondary colours are used practically, to capture a viewer's attention, as well as symbolically, to capture the essence of a lively, colourful youth. Prizes will be awarded from the Official Selection by our jury on the evening of the screening event at Tanglin Trust School, Singapore. My name is Ellie and I am the Head Student Communications Manager for the Across Asia Youth Film Festival 2018. Along with my assistant Carl, we are in charge of managing the ‘aayfilmfest’ Instagram account and we would love to showcase the production process of you making your films. We're looking for behind the scenes photos or clips to share with our followers! If you already have an Instagram account please follow the AAYFF on@AAYFilmFest and tag your pics/clips with #AAYFF2018 OR If you send a clip/photo to info@aayff.com with the name of your film and shooting location we can post for you! For a little background information, I joined the AAYFF team last year and led the Social Media Campaign. I created the Instagram account and posted photos and footage from the actual event throughout the night as well as interviewed filmmakers. I really enjoyed being a part of the event last year as it was great to see different students across Asia coming together to celebrate the creativity of avid, youthful storytellers. When I heard that the event was happening again this year, I was very eager to be a part of the organisational process again and I have been lucky enough to have been given this higher role in this event. I currently do A-Level Media Studies and will be posting lots of photos of our production process for our coursework to show you guys our behind the scenes perspective! We really look forward to seeing the films that you produce (for those of who are shortlisted) and we really hope that you keep in contact with us leading up to the event because we would love to see some behind the scene clips of what you are filming. Hope to see you all on May the 4th!